The climate of the next few centuries “is expected to change 10 to 100 times faster than in the recent geological past.” Slowing this disastrous shift is one struggle. Another is figuring out how to help earth’s organisms to survive it. Humans have long maneuvered evolution to breed plants and animals for their own use. But as the earth grows warmer, understanding and experimenting with how species adapt to change is taking on a more ambitious, long-term purpose. Animals and plants are responding to current climate changes in two ways. They adjust within the capacity of their DNA—plasticity, as it’s called—and they adapt by changing genetically. They demonstrate plasticity when birds breed and plants flower earlier as spring comes sooner. Animals show flexibility when they migrate towards cooler poles and higher elevations. Many species that scientists had considered doomed have shown greater flexibility than expected, but such plasticity has its limits. Genetic changes—true evolution—are profound but also less adjustable in the short term. These are changes that can enable a species to resist new diseases and to thrive in new environments. The species that have the best odds for making such evolutionary leaps are generally those with short lives (and therefore frequent reproduction), many off-spring, genetic diversity, and mobility. Copepods off the west coast show some flexibility to water temperature but don’t migrate far enough to make larger genetic adjustments. A case in point: The shrimp-like copepod swims off the west coast all the way from Mexico up to Alaska. That range of water temperatures might suggest that copepods would have no trouble adjusting to warmer water if they needed to. But the local populations are acclimated only to their local temperature and they don’t travel far enough to breed with other copepods that can handle warmer oceans. They are stuck within a limited plasticity. 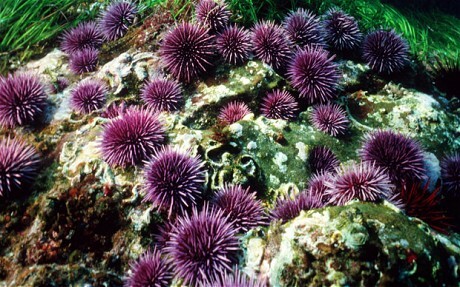 Purple sea urchins are a different story. They must cope with the increasing acidity in the ocean that is one effect of a warming climate. Like the copepods and temperature, sea urchins in different parts of the ocean tolerate their local acidity. But the sea urchins are better off than the copepods because, essentially, sea urchins are more sociable. They are more likely to migrate, interbreed, and adapt genetically to higher levels of tolerance. Purple sea urchins move around and intermingle, making them good candidates for genetic changes that will help them tolerate the ocean’s rising acidity. 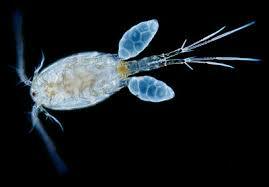 Many species of animals and plants, like the copepods, will be unable to adjust enough to survive. So humans are beginning to step in. Conservation groups are connecting wilderness areas so that migrating species aren’t cut off by highways, cities, suburbs. One example are the Yellowstone to Yukon Conservation Initiative corridors between wild landscapes that run from Yellowstone Park to northern Canada. In more active interventions, scientists have moved the seeds of trees in order to acclimate them to new environments. Animals too have been transported in order to change their genetic strain (though not yet for climatic reasons). When Florida’s panther population dropped below 30 in the 1990s, eight females that were brought from Texas created enough genetic variation to overcome the effects of inbreeding and multiply the population. For now, scientists are mostly gathering information. How much can organisms adjust before they die off? Which necessary changes are genetic and therefore relatively slow? And—a devilish question— which species should we try hardest to save? The ones most at risk? Or those most likely to survive? The popular animals like lions and elephants? The ones that carry out key functions in the survival of other species, like bees? Such interventions and assessments reassure and unnerve me at the same time. As the climate worsens and the urgency grows, as the effort to save species scales up, imagine the conflicts that will emerge. We have seen the debates over GMOs, carbon capping, sea coast construction. Imagine the political feuds and violence of the future when temperature and rainfall have shifted so much that it’s time to commandeer new land for farming, to organize globally to select animals and plants for survival, to abandon regions that are turning to desert and floodplain, to allocate water to some communities of species and not others. As the stakes get higher, the human role on the planet will grow more urgent and potentially more dangerous. This entry was posted in Chain of life, Cooperating and competing, Plants, Surviving and thriving and tagged adaptation, climate change, evolution, mass extinction. Bookmark the permalink.